I gotta say, I am looking forward to this movie like you don't even know. It looks amazing. Just watch the trailer. 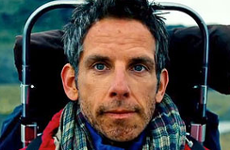 Starring and directed by Ben Stiller. This movie will be released on Christmas according to the trailer so December 25, 2013. This movie is about a regular guy who daydreams a lot throughout the day. He works in the magazine publishing company, Life, in a time when online publishing is rapidly replacing print. One day a very important picture gets lost so he goes off in an adventure to find the missing negative of the image. Is this movie going to be awesome? Yes. As you can see from the trailer, every shot will be beautiful basically.